One of the things that draws so many people to Berlin is its laidback vibes, and there’s no better place to experience this than in the district of Neukölln. Its gritty streets are a world away from the sterile buildings of Mitte or the fanciness of Prenzlauer Berg. Yet, among them, you’ll discover a host of fantastic places that are perfect for relaxation. Admiralbrücke in Kreuzberg. A gateway to the Landwehrkanal and Neukölln. Photo by James Fancourt. 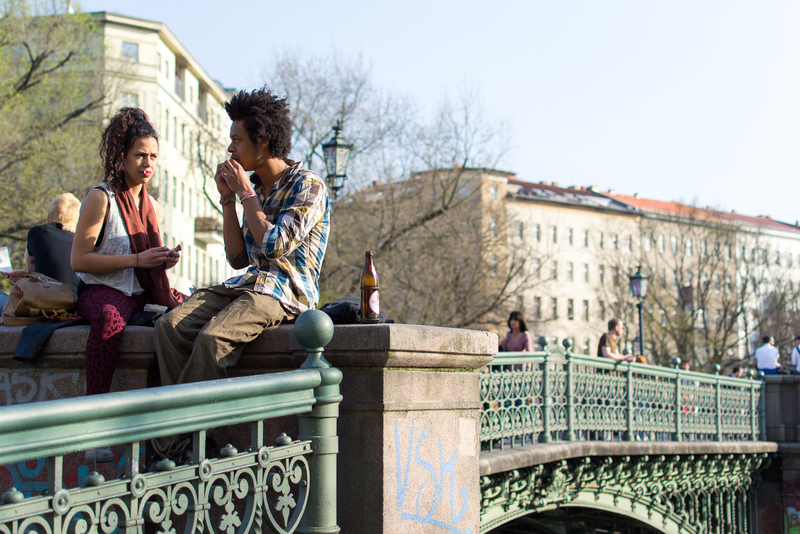 With that in mind, we came up with a list of the best places to chill in our beloved Berlin Neukölln. Enjoy! Whether you’re kicking back on Admiralbrücke listening to buskers or just basking in the sun on the bank with cold beers and good friends, this sleepy canal is one of the best places to chill in all of Berlin. 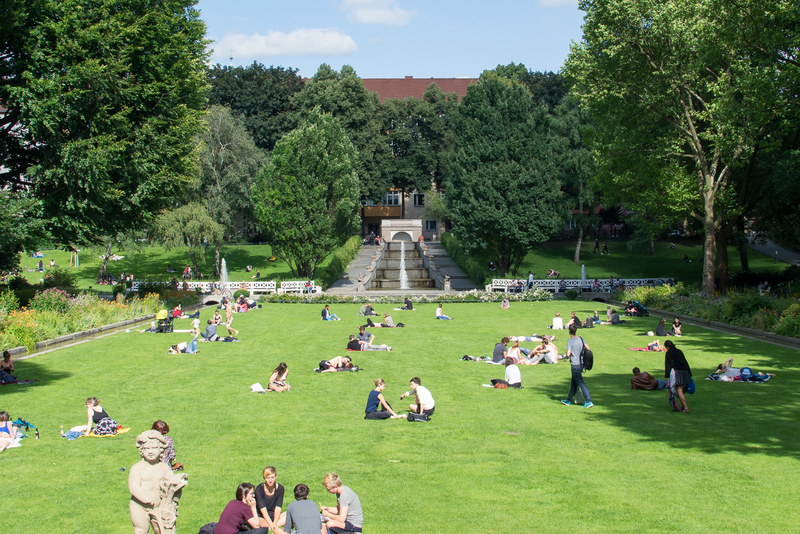 There are plenty of nice secluded spots along the water’s edge, and the grassy area in front of Vivantes Klinikum is a great place for a long session in the sun. 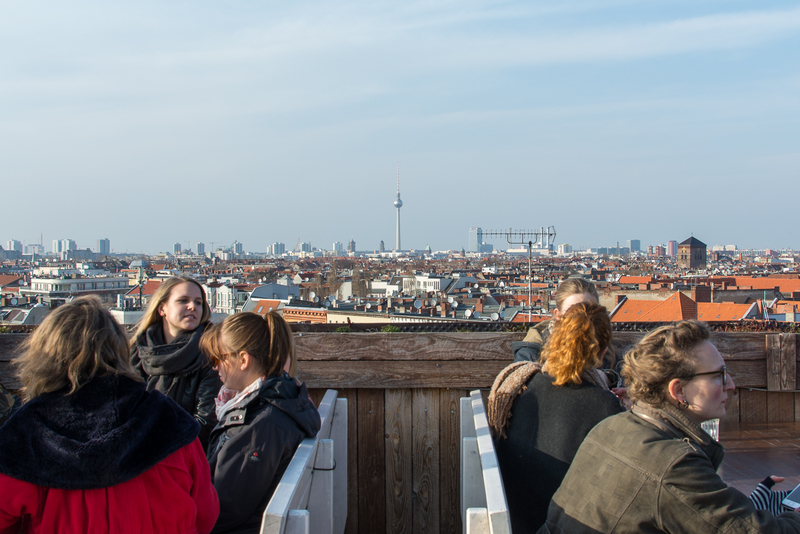 Hidden away on top of Neukölln Arkaden is the sun-soaked café/bar Klunkerkranich. A few years ago, the top level of the car park was transformed into a gorgeous handmade bar and urban garden, which now provides enough greenery that you soon forget you’re sitting above a shopping centre. It’s quite popular, meaning you could face some lengthy queues on summer evenings, but the views across the city make it worth the wait, especially if you get in before sunset. 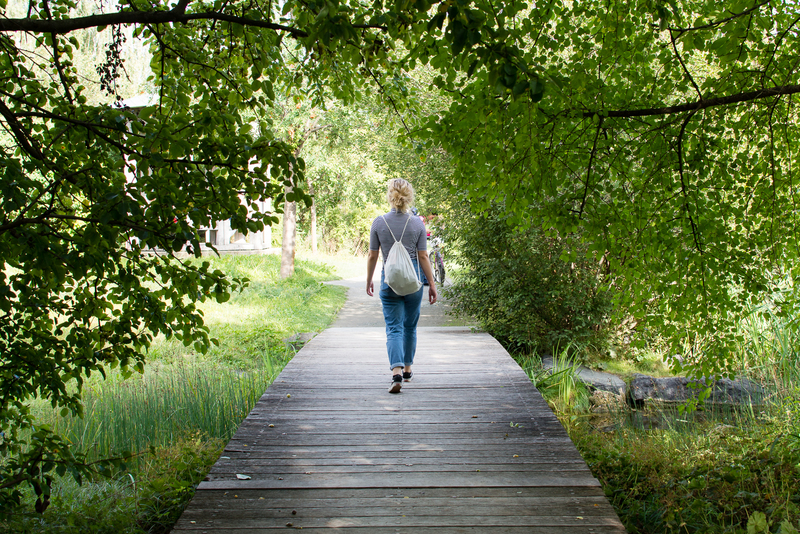 A lesser-known spot in Neukölln is Comenius Garden — a tranquil oasis hidden away in Rixdorf. Opening hours are midday-8pm; just press the tiny silver button on the gate to gain entry. Once you’re inside, take a stroll along peaceful paths which wind their way through wildflowers and fruit trees, or just find a nice spot on the grass to stretch out and relax. If you’re looking for a great café to chill, K-Fetisch is ideal. There’s ample seating outside if the weather is good, but if not, the inside is nice and cosy too, with a laid-back shabby interior that’s typical in Berlin Neukölln. Add to this the cheap coffee and beer and you’ve got one of the best places to hang out on Weserstraße. Photo from KFetisch’s Facebook Page. Neukölln has lots of great parks, but Körnerpark is pretty special. Designed in a Neo-Baroque style in the early 20th century, its fountains, statues, flower beds, and lush grass elevate it beyond your standard Berlin park. Plus, the fact that it’s surrounded by tons of ugly apartment buildings forms a stark contrast which only heightens its beauty. There’s also the orangery, which hosts a café, exhibitions, and summer concerts. One of the best places to chill out in Berlin Neukölln is Reuterplatz, which has pretty much everything you could wish for: a grassy area to kick back on, a decent späti, and good food thanks to Sahara and Pizza a Pezzi. And, as it’s on Weserstraße, you can retreat to one of the many nearby bars or cafés should the weather turn sour. This list wouldn’t be complete without Tempelhofer Feld, the huge public park situated on the former airport. 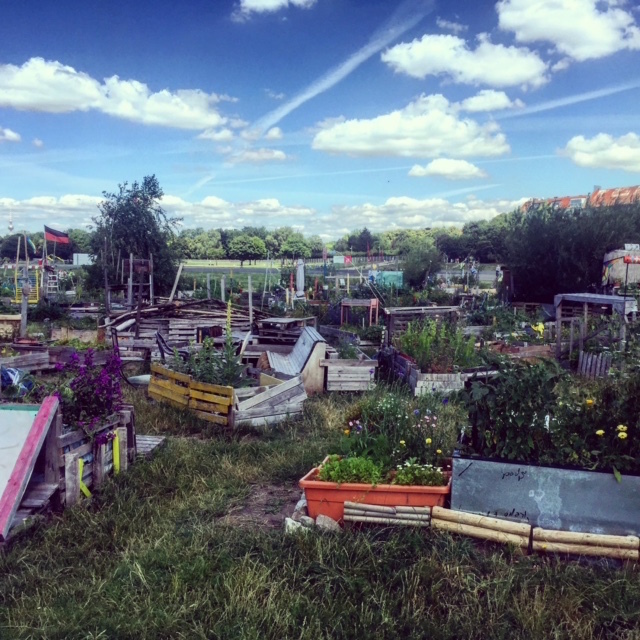 The grillplatz is perfect if you’re looking for a place to BBQ, and the idyllic community garden — Allmende-Kontor — is a great place to explore. Best of all, the huge, flat expanse provides the perfect opportunity to watch the sunset. This article was written by James Fancourt. James is a freelance writer and photographer based in Berlin. He arrived from the UK in 2012 and has been exploring the city ever since, whether it’s abandoned buildings or the latest café.